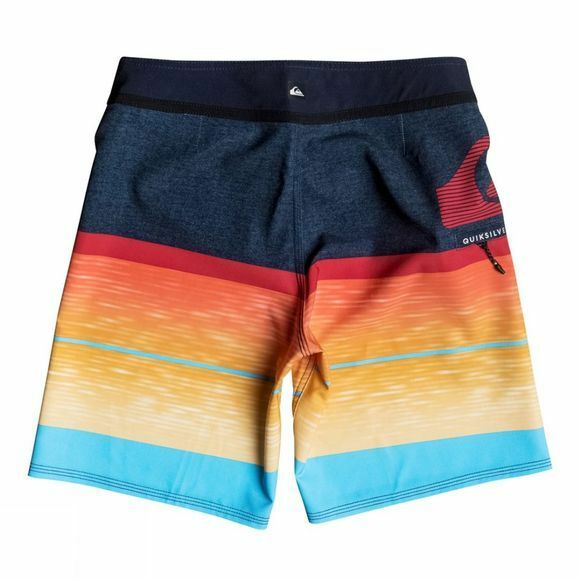 Whether they're playing on the beach or trying their hand at surfing, the The Boys Slab Logo Vee Youth Board Short from Quicksilver is their perfect companion. 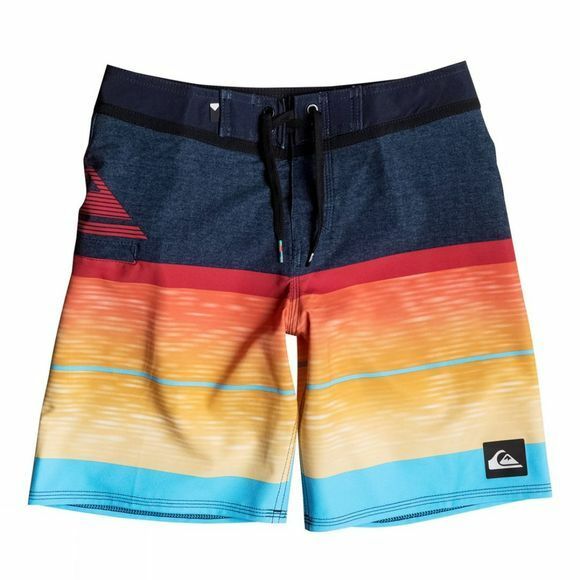 Featuring a vibrant design, the short is constructed from REPREVE recycled 4-way stretch that provides excellent freedom of movement. Quiksilver Dry Flight water repellent hydrophobic coating prevents the fabric absorbing the water so the short won't weigh them down even when wet.